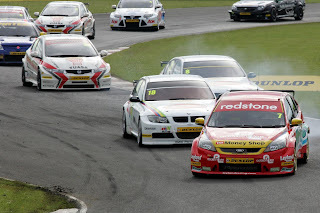 Matt Neal and Mat Jackson shared the wins in yesterday’s (Sun 19 June) three Dunlop MSA British Touring Car Championship races at the Croft circuit in North Yorkshire where Robert Collard and his rookie team-mate Nick Foster were also stars of the show. Former double champion Neal won the day’s first two races in his Honda Racing Team Civic but Jackson, the young pretender, struck back with victory in the third in his Airwaves Racing Ford Focus. 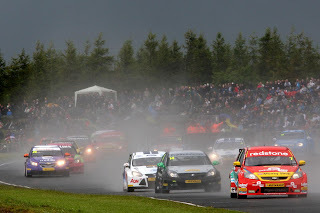 As a result, Worcestershire’s Neal continues to lead the championship but Warwickshire’s Jackson, looking his most competitive yet in his fifth season in the BTCC, is a mere nine points adrift as the teams head into a seven-week summer break before the next three races of their season at Snetterton, Norfolk on 6-7 August. 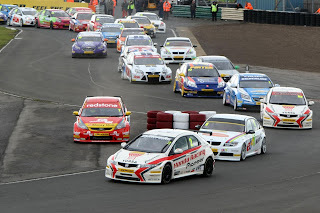 After a first corner spill for reigning champion Jason Plato who’d qualified on pole position in his Silverline Chevrolet Cruze, Neal led every lap of Croft’s first race for the 40th victory of his career. But he was just 0.055s ahead of Jackson at the line as the latter’s gamble on tyre choice on a rapidly drying track enabled him to close right up at the end. Collard took third in his WSR BMW. Despite his car carrying the maximum 45kgs of success ballast, Neal then impressively led all the way again in race two ahead of Collard and Staffordshire’s Andrew Jordan in his Pirtek Racing Vauxhall Vectra. Race three almost produced the shock of the season so far, however. Jackson ran out the winner but was under constant pressure throughout from Hampshire duo Foster and Collard who took second and third places. This was Foster’s first podium result in only his fifth BTCC event. Meanwhile Honda/Dynamics and the Honda Racing Team have extended their respective leads in the Manufacturer/Constructor and HiQ Teams championships. Jackson now tops the independent drivers’ standings ahead of Jordan and 888 Racing with Collins Contractors’ James Nash who had led the table arriving at Croft. Jackson’s Airwaves team has also assumed the lead of the Independent Teams Championship. Elsewhere, the BTCC has accepted an apology from Jason Plato for comments he made during ITV’s live coverage at Oulton Park a fortnight ago. 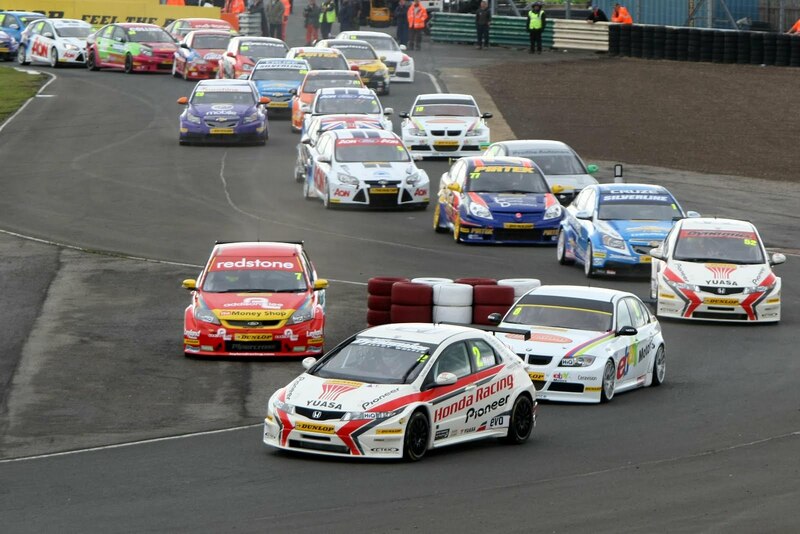 It has therefore decided not to proceed with referring the matter to the championship’s stewards.